Instead of feeling frustrated and defeated when denied financing from a bank or credit union to purchase a new vehicle, consider auto loans from a trusted dealer not far from Mandeville, LA. Even if your credit score is not quite where it should be, when you do business at the right dealership, you can find an incredible car, finance it, and drive it home on the same day. The issue with conventional lending institutes is that they have just one product (their loan) to offer borrowers. If for some reason you do not match the qualifying criteria, the lender will deny the loan. In comparison, a respected dealership has strong connections with multiple lenders. Because of that, it can review many different auto loans to find one that serves you best. Something else to consider is that, typically, a bank or credit union, limits its terms to 72 months, whereas the right dealer can offer extended terms on many of its auto loans. Whether approved with less-than-perfect credit, securing a low interest, or locking in extended terms, dealership financing allows you to enjoy more buying opportunities. For starters, you have the financing needed to purchase a new, used, or certified pre-owned vehicle. Also, since the financial expert at the dealership outside of Mandeville, LA, has more control over setting your monthly payments and the longevity of the loan, you can look at a much broader range of cars, trucks, and SUVs. In other words, instead of feeling you have limited options, you can choose from multiple automobiles on the lot. Just imagine a traditional lender turning you down for a loan yet driving home in a gorgeous Porsche. If you think that sounds far-fetched, you have not visited the right dealership. One close to Mandeville, LA, makes every customer a priority. For that reason, the staff works hard to help you purchase a vehicle that fits your driving needs and budget. 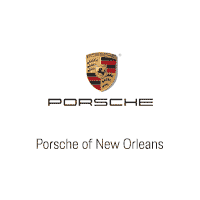 We invite you to visit us at Porsche of New Orleans, only a 35-minute drive from Mandeville, LA. Along with a fantastic sales staff, we have experienced and dedicated financial experts in-house that will work hard on your behalf. You can even apply for a loan online if you prefer. Regardless of the option you like best, we promise to help you in any way possible.